Marrakech, an ideal setting for many day trips. Here is list of our favorites, please email us for details. Some are suitable as half day tours too. Departures available every day. Pick up at 9am from Marrakech and travel towards the High Atlas Mountains. Asni and surrounding Berber villages delightful spots to get away from hot and exotic attraction of Marrakech to this cold and rugged Berber country home. A cluster of villages around the river valley Moulay Ibrahim set in a dramatic setting of the High Atlas Mountains with great views of the highest mountain of Morocco and North Africa Djebel Toubkal. A welcoming atmosphere of tiny villages, steep hillsides, waterfalls, and lush green gardens. Stop at one of the Berber homes for a glass of mint tea. If you like possibility to take a short trek about 20minutes to the waterfalls in the Ourika Valley, home to the Toubkal National Park. Expected return at about 5pm. 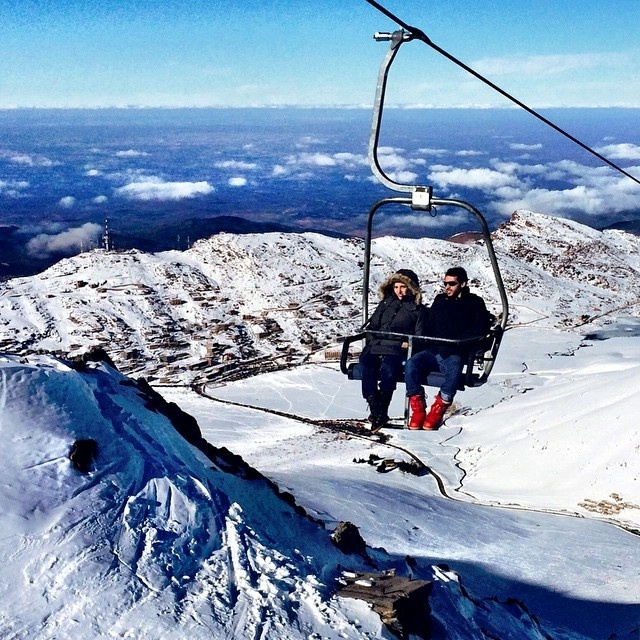 Oukaimden is the highest and best equipped winter resort in the High Atlas Mountains. Located a mere 75 km outside of Marrakech, an outing to Oukaimden is a wonderful, relaxing day trip. The spectacular scenery can be enjoyed year-round: during winter months for the snow sports and during summer months to escape the heat of the city. We can arrange ski, snowboard, and horse back riding excursions. You can also take a cable car trip up the mountains to enjoy the views. Morocco's Atlantic Coast is gorgeous and, once you visit, you will want to come back. Essaouira, a relaxed town set 3 hours from Marrakech, is a UNESCO World Heritage Site - a protected city. The ramparts of Essaouria and the 16th century walled city offer astonishing views of the Atlantic Ocean. A day trip to Essaouria - one of the most charming medinas in all of Morocco - will give you ample time to visit the important monuments, the old fish markets, and the seaport. You'll also have a chance to watch silver craftsmen and wood carvers at work. A favorite weekend escape for native Moroccans, the Ourika Valley is 30 km from Marrakech and rests between the foothills of the Atlas Mountains. An escape from city life, the Valley draws visitors with a welcoming atmosphere of tiny villages, steep hillsides, waterfalls, and lush green gardens. Don't forget to stop and visit the Berber villages on the way. Ourika Valley can be visited only as half day tour instead of the full day. You can enjoy it in the morning with return to Marrakech after lunch or if you prefer you can depart Marrakech, enjoy the afternoon in the Ourika and then return to Marrakech after dinner in the valley. This full-day excursion will take you across the High Atlas chain through the Tizi N'Tichka pass - an imposing landscape of the high mountains and traditional Berber villages. The descent along the east side of the chain offers a sudden change in the lush landscape to an arid, desert panorama. 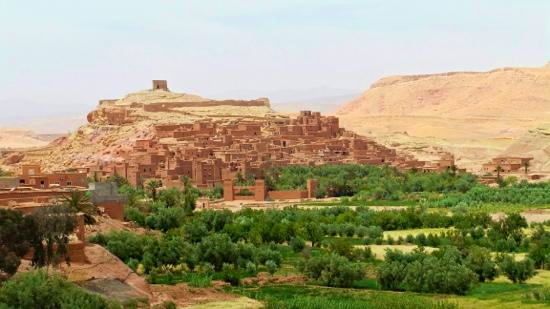 In Ouarzazate, visit the Kasbah of Ait Ben Haddou and Taourirt Kasbah. Ait Ben Haddou is UNESCO protected 11th century site that inspired many movie makers, Gladiator and Lawrence of Arabia was filmed there. The views from the upper heights are awe inspiring and worth the required climb of narrow, winding streets. Pick up at 9 am and departure towards to the dam of Lalla Takerkoust to admire the beautiful buildings of adobe. We will travel up the mountains to see the hidden Berber villages at a height of 1350 meters. We reach the splendid plateau of Kik rich with olive groves. Then we descend into the valley of Asni with its diversity of landscape through the valley of Moulay Brahim. Asni Valley stands against the whiteness of the highest peak of the Atlas. It deploys the beauty and the purity of a nature still with a big untouched part and offers peace of mind after the tumult of the red city.Expected return to Marrakech at about 17:00h. Pick up at your hotel/riad at 9am and then travel to the Agafai known as the Marrakech desert, located less then one hour from Marrakech. The area of Agafay is great option to experience the desert like scenery if you have limited time and can not make it all the way to the Sahara of Morocco. The rocky desert, drawn by the wadies offers an unexpected and splendid views. A mineral universe that gest disturbed only by passing few flocks of sheep. Here we enjoy about one hour cameltrek. After we head into the High Atlas Mountains via off road that can be seen as backdrop in the distance. In the High Atlas Mountains we visit the man made dam of Lalla Takerkoust. Then we return back to Marrakech enjoying the purity and beauty of the mountains that is still untouched in big parts. Star in the morning from you riad/hotel on foot to the famous gathering square of Djema El Fna. The walking tour continues to the Koutoubia Mosque, the most prominent minaret in Marrakech. Then continue your walk around the old city with a visit of Saadian Tombs, not long time discovered, a 16th century Mausoleum built as a resting place the tombs of thirteen Saadian sultans. Continue your tour with a visit of 12th century Almohad Palace, with its famous carved gate, Bab Agnaou and the Bahia Palace built upon 2 acres of exotic gardens in the center of the Jewish center. Visit the oldest street of the old medina and the Ali Ben Youssef Medersa. Want to experience something different while staying in Marrakech? Take a hot air balloon ride over the magnificent High Atlas Mountains. The balloons ride starts early in the morning with a pick up from your hotel/riad at about 5am. You are taking to the landing site. Here enjoy simple breakfast and then rise up towards the sky in the balloon. Enjoy beautiful views from high up of the High Atlas Mountains. Expected arrival to Marrakech at about 10 to 11am. It is possible to arrange hot air ballooning in the Sahara or other places of Morocco. Moroccan cuisine is delicious, full of aroma from fresh spices and beautiful colors. Lot of vegetables and meat is used in Moroccan cooking. If you have spare time in Marrakech we recommend taking cooking class. Can be arranged either in the afternoon or morning hours and cooking include tasting of dishes prepared. We offer variety of cooking classes from down to earth to more professional. Well organized and very interesting trips! We visited Morocco end of February and with the help of Your Morocco Tours took two trips: Ouzoud waterfalls and Zagora desert trip. Morocco was very flexible and offered us drop off at and pick up at our resort in Taghazout! Thanks for letting us enjoy as much as we did! Perfect. Our day trip could not have been better. Communication before booking - perfect. Flexibility/helpfulness - perfect. Car- perfect. Guide - perfect. Day trip - perfect. Everything was just perfect. Thank you so much! meal in Marrakech! It was exciting day spend with wonderful, kind and polite young man.